It’s that time of the year when sale, discounts and shopping is on everyone’s mind. We present our 2018 Holiday Sale. Please take advantage and ensure your comfort, productivity and health. OM5 Gaming Chair – Named by PC Gamer as one of their best gaming chairs, the OM5 has been enjoying this status since 2015. 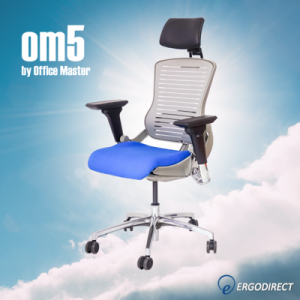 With similar appreciative reviews from Linus Sebastian of Linus TechTips and What’s Inside, and multi-purpose usage as a gaming chair as well as office chair, the OM5 is one of our star products. Absence of annoying adjustments, knobs and levers and a self-weighing mechanism that lets you move your position just by the slight push of the back is the highlight of this chair. Surge Protector Power strip – Mountable on wall or under desk and with a 15 long cord, this surge protector takes care of multiple workstations or a single workstation with many power outlet needs. Protecting from fire hazards like unexpected power surges, this surge protector is a must for your valuable computers, music systems or home theater entertainment systems. 3. 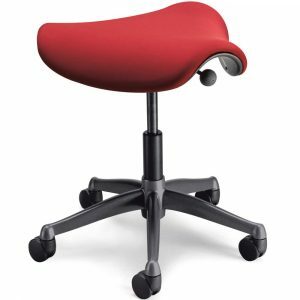 Humanscale Saddle Seat – The unique design of this chair is such that it forces you to sit straight in an ergonomic position. 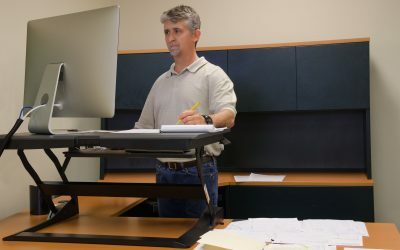 Available in bright, attractive colors, the Saddle Seat is a perfect addition to office space and cubicles for impromptu meetings and discussions. 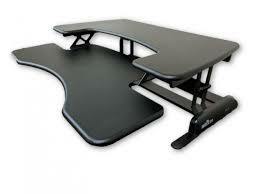 Just pull them by their wheels and and you have created an ergonomic seating space. The FM300 offers relief from long hours of standing by encouraging rocking motion and providing a gentle massage to the lower leg muscles. 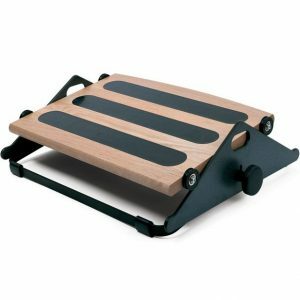 Get stimulated for the holidays with this foot machine. 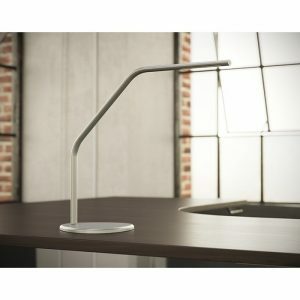 5) Workrite Fundamentals Desk Light – The Fundamentals 2 LED Desk light is a sleek, contemporary addition to your work environment. With a single-touch button, this desk light is an excellent, energy-efficient light source to supplement ambient lighting. 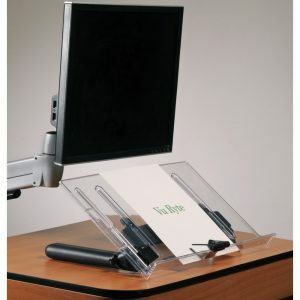 6) VuRyte 18DC Document Holder – This document holder is lightweight and mobile and can easily carry 200 pages of papers. 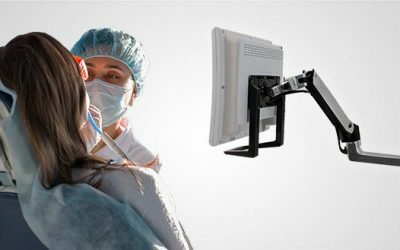 Height and angle adjustable, the 18DC has an 18″ wide and clear easel. 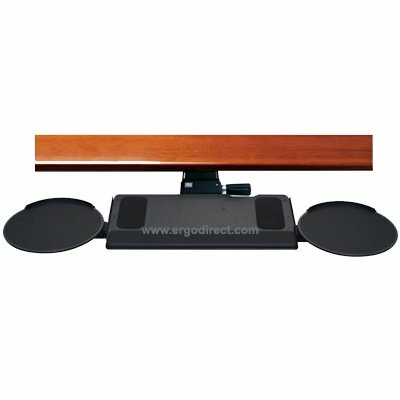 Please call us at 888-456-ERGO or mail us to find out more about these holiday sale offers.